Keeping ducks in the back garden is a lot easier than people expect. They need a little more room than chickens in both run size and coop size and a few little extras to keep them healthy and happy. Looking after your back garden ducks will take you only a few minutes more each day than chickens and they reward you with lovely rich duck eggs for your hard work. 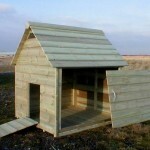 If you’ve room for hens then you can keep ducks as well or instead if you like. 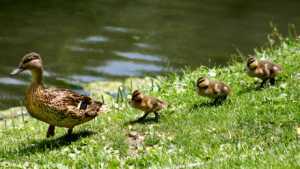 Keeping ducks in the garden means that you need to consider breeds that are flightless or make sure you clip their wings to stop them escaping. Unlike chickens an unclipped duck will be able to go a fair distance if able to escape and it is unlikely you will see them again. 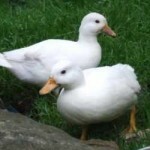 Good back garden breeds include runner ducks, Campbells ducks and Aylesbury ducks as they will not fly out and escape and have pleasant quacks. Call ducks are another possibility, but they will need wing clipping and are prone to being very noisy. Ducks don’t perch like chickens so you’ll want a flat based coop with a ramp to access it and sufficient head room for them to stand up inside. 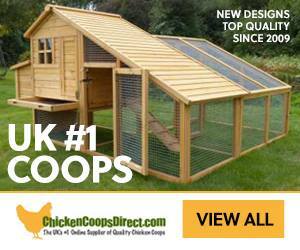 For large breed ducks you will need to give them at least 2 square foot resting space in the coop and 2 square meters run space each. Like chickens ducks can make a real mess of the garden, but unlike chickens they are easy to pen into an area. A small two-foot barricade will keep most breeds of duck where you want them and this can be moved around to allow you garden to recover. They are also really good at gobbling up all the slugs and bugs that may get to your veggies and love digging over your garden for you, if left in an area you want clearing! Ducks need water. They do not need big ponds or lakes, but they do need enough water to at least dunk their heads in fully and to have a little swim in. Small hard plastic paddling pools or a small pond will suffice, along with buckets of water for them to have a good dunk in. Change the water when it gets dirty, you wouldn’t like to bathe in filthy water and neither do ducks! 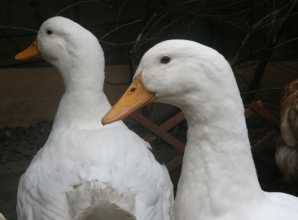 Most breeds of ducks will not lay quite as many eggs as modern hybrid laying chickens, but some will lay nearly as many. Most ducks are unlikely to lay for you between November and February. Duck eggs are larger and have a lovely rich taste – perfect for baking, scrambled eggs and quiches. Just like chickens they will learn to come to you when called or for food, will enjoy eating your left over vegetables in the evening and can be fed on layers pellets to keep them healthy. 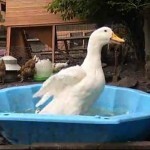 Ducks & Water - Do You Need a Pond?